Billy and I ventured out on this road trip for our 5yr wedding anniversary. I promise not to get to icky about the love stuff but… I have to say I feel like the luckiest girl to be married to my sweetie. We had a great time on our trip and really savored that time together. This is a little look at that day. Enjoy! It was a rainy chilly morning in Portland but we didn’t care, this is our special day and we wanted to enjoy every part of it. Plus it was fun sitting in the rain drinking coffee waiting for our table. ‘Besaws’- The bartender at our hotel highly recommended this place, and he wasn’t wrong. 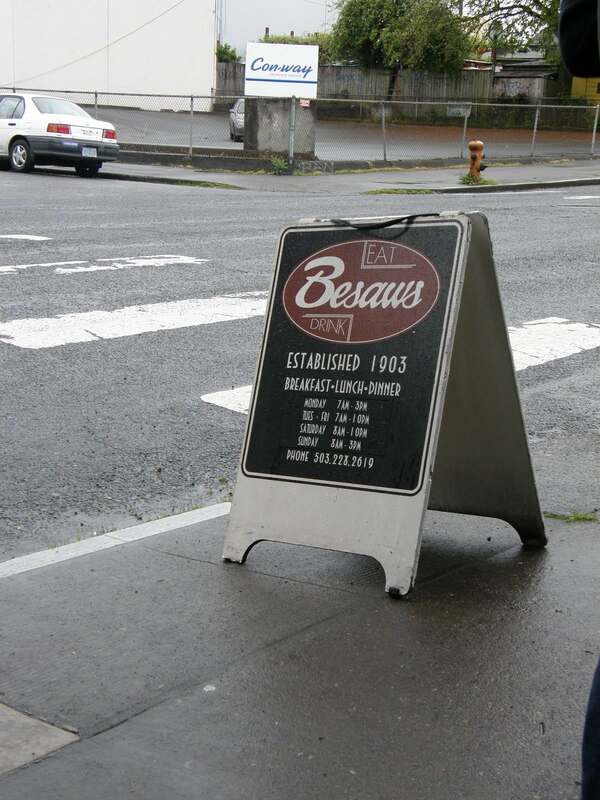 This place was our best meal in Portland. Great little gem. 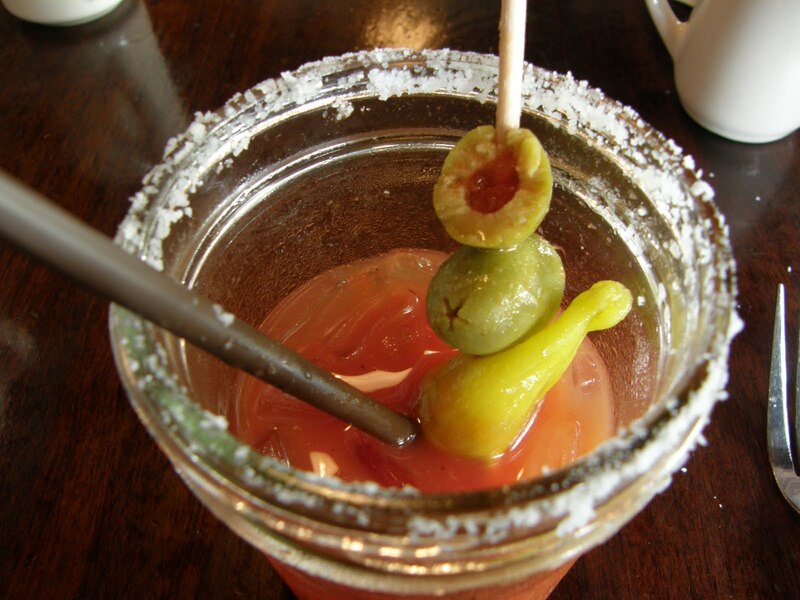 One of the best Bloody Mary’s I have ever had, and I’m pretty sure they owned their own canned tomatoes. That is the best way to win this girls heart. Billy is a sucker for a sweet breakfast he always wants French Toast and I couldn’t decide that morning. So we thought let’s get something sweet and something savory and we can share, it was our anniversary after all. VIOLA! 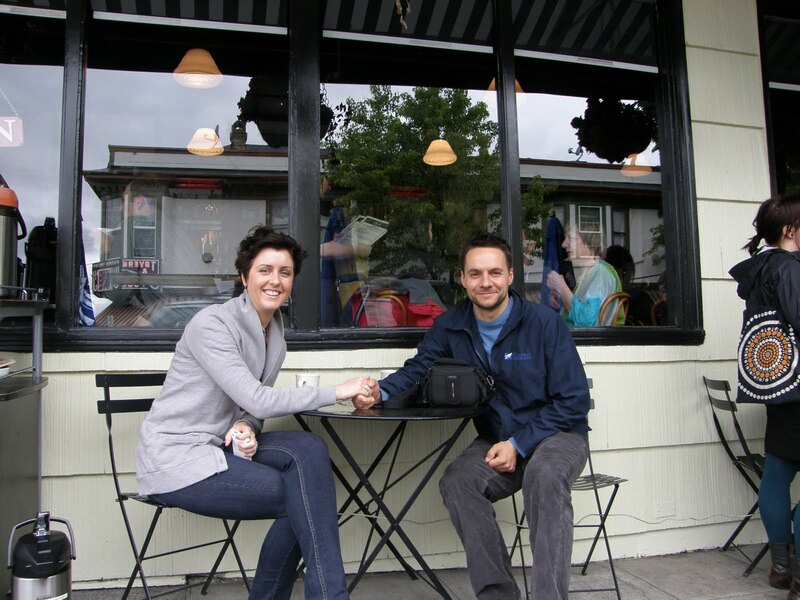 Perfect breakfast negotiation. 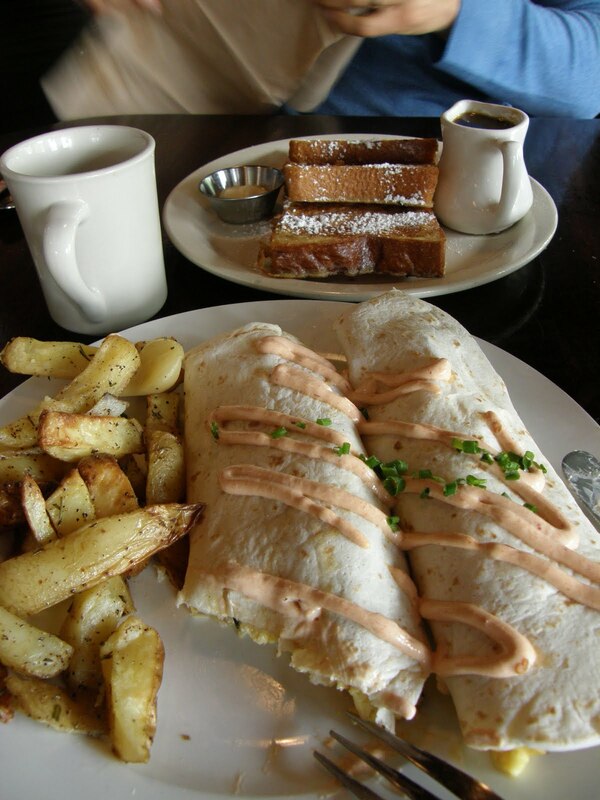 French Toast and Breakfast Burrito, those Rosemary Potatoes had whole cloves of roasted garlic in them. Seriously, I’m moving in. This is later in the afternoon on our way the the Oregon Coast, this was our view of the ocean. A breath of fresh air. 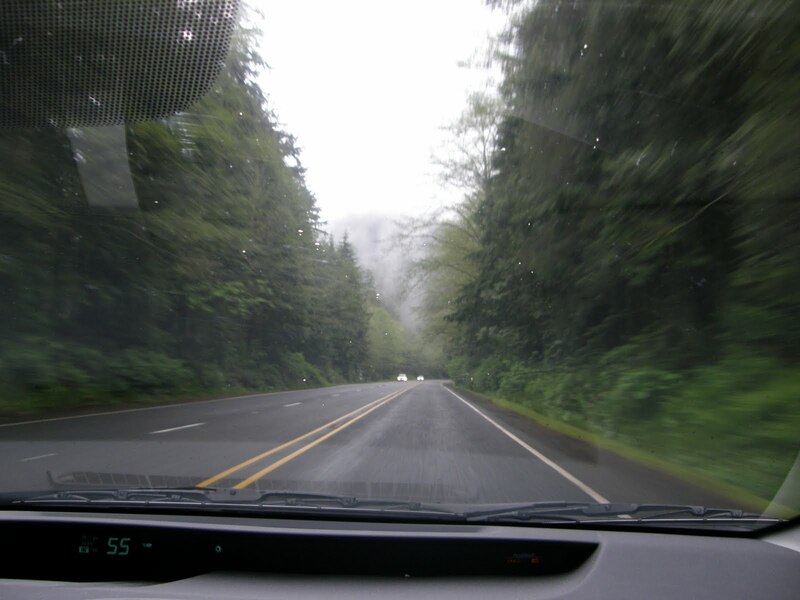 A view from the car, it is so green and lush. 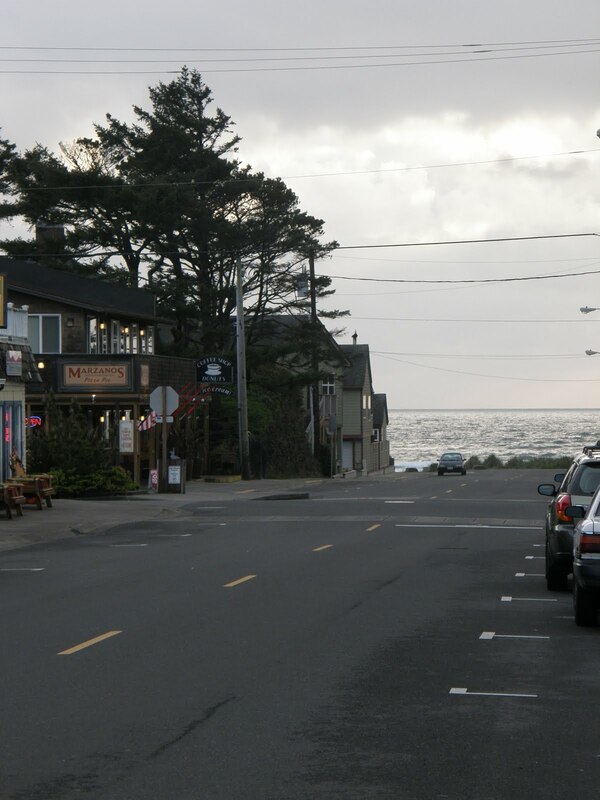 We have finally made it to our destination, this is a view walking down the street headed to the beach. It was cold so we just took a few pics and went back to our warm cabin. 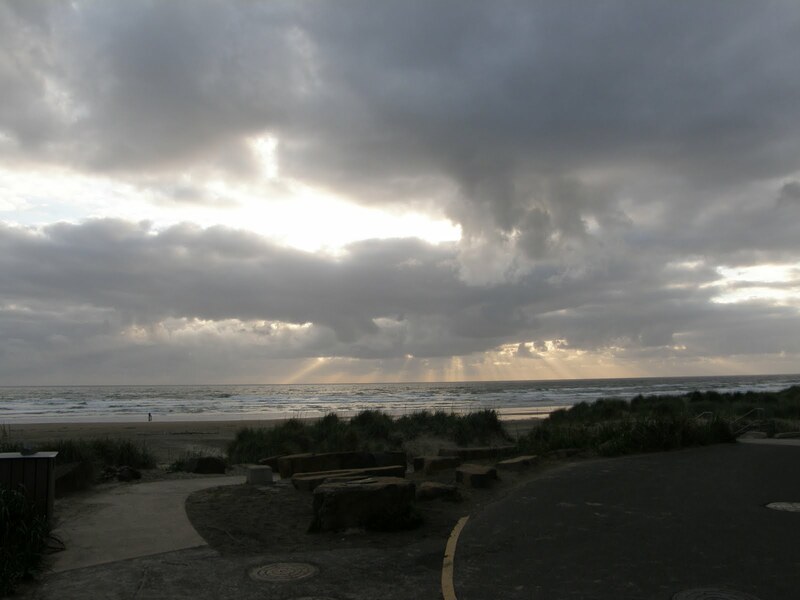 ﻿Can you see the rays of sun beaming through the clouds? This was a cold beautiful end to our warm, loving day. Happy Anniversary my sweet.